For years my Christmas Tree theme has revolved around sweets. I have lollipops, slices of pie, fruit wedges, and a lot of gumdrops. Every year I find another ornament to add to my collection, and always look for one involving cake. 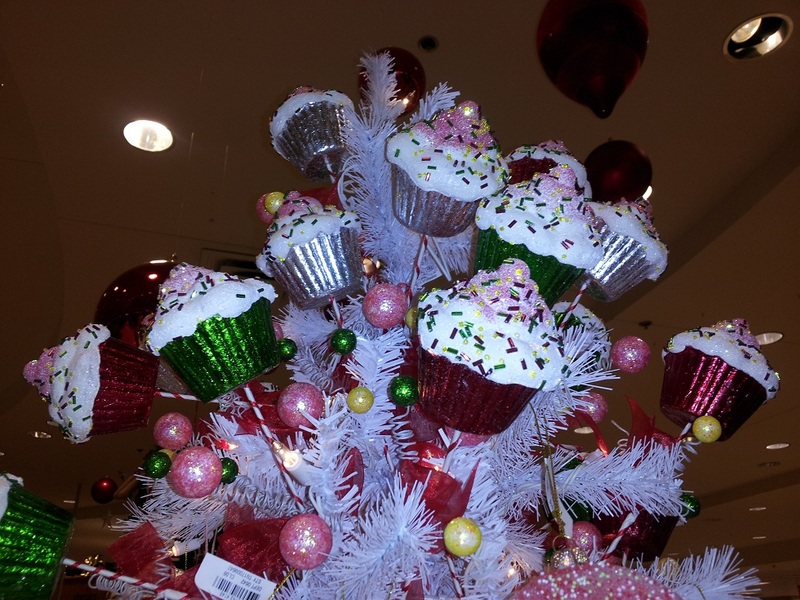 Yesterday, while at Macy's, I spotted a white tree decorated with all cake ornaments. Imagine my delight! Of course, most of these ornaments had a hefty price tag, and since I am extremely frugal when it comes to non-essential items, I refused to pay $19.99 for a tree ornament. After sorting through each beauty, I found two ornaments that were must-haves, and neither had price tags on them. Figures. Not only did these ornaments include cake and cupcakes, they were also cake stands. How much more Cake Critic could they be? I took both ornaments to the cashier, who asked me where the price tag was, as if I removed them. She disappeared a moment, came back, and while I waited for the sticker shock, she told me that each was "only" $9.99. For an ornament? When she rang them up, however, the price was reduced because of some special they had going on, and since I used my Macy's card, I got each one of these beauties for $4.99. Ok, now we're talking! I might have to go back today to see what kind of deals I can get on the other ornaments...not that I need anymore. I just really love a beautifully decorated tree. Guessing you might've already seen these when Bake It Pretty posted this how-to on cupcake ornaments last year, but thought I'd share just in case! Pretty neat Becky! Thanks for sharing! They are cute little DIY ornaments for sure.